You need to know all about class C misdemeanors in the state of Texas and what you can do about them. Why? So you know what to do about them if you’re charged with one. Knowledge is power, so let’s talk a little bit about class c misdemeanors in Texas and what you can do about them. The most common class c violations are traffic related, such as speeding, running a stop sign, or improper lane change. In Texas, class C violations are the lowest possible legal punishments you can receive. If you have already been charged with one, be grateful it’s not more serious than that. You may not have committed a traffic violation to be charged with a class C misdemeanor. Even off the road, you need to make sure you’re not breaking the law. Let’s take a look at some other possible violations. Keep in mind, there are consequences. A conviction for possession of drug paraphernalia is considered a drug conviction and disqualifies you from receiving federal aid. Too many traffic tickets will mean higher insurance rates, hefty fines, and a possible license suspension. Your clean record and driving ability are very important assets to have. Don’t risk your livelihood. Make sure that when you have your day in court, a competent attorney is at your side. Your first step with legal battles should always be to contact a lawyer. You will have to appear in court and likely wade through a plethora of fines and paperwork. An attorney can remind you of your rights, help you through the process, and get you the best results. You will also need to keep yourself calm. Surround yourself with trusted loved ones and the right legal counsel. Your self-control is vital in court cases. Being rude to a judge or court official could mean your hearing doesn’t go over so well. In terms of fines, the maximum you can be charged for class C misdemeanors is $500. Still, this could be a huge portion of your rent, bills, and grocery money. Your attorney will do their best to reduce the amount you pay, but you should put some money aside to prepare for these fines. Take a loan if needed; keep yourself out of jail. It can be from friends or family. They will likely understand the urgency and be happy to help. 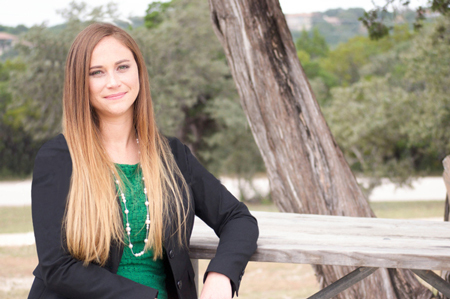 Kelly McHanan is an Austin traffic court lawyer who can handle any class C misdemeanors you are charged with. Her goal is to save you time and money and keep a minor traffic violation or ticket arrest from further affecting your life. When you are stuck with a traffic ticket or charged with a class C demeanor, Ms. McHanan can help. She will stand up for you in a court of law. Contact her office at (512) 843-2889 or fill out the form located on her website here.